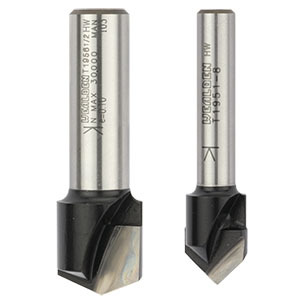 Tungsten carbide tipped V cutters with a centre flat. 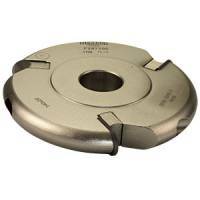 Used for mitre joint cutting on aluminium composite cladding material with polyethylene core. The 90 degree cutter allows the material to be bent to an included angle of 90 degrees, whilst the 135 degree cutter allows for an included angle of 45 degrees.